Get hands-on with the features and functionality we showed during the #AwesomeAdmin Keynote! 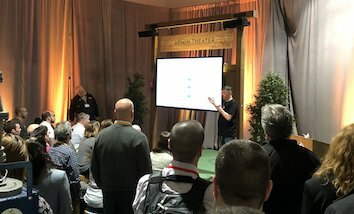 At the Admin Keynote, we focus on sharing stories and demos that are actionable right now. 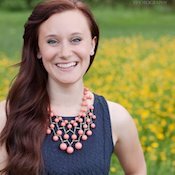 Carlos Umana champions productivity with Lightning, Nana Gregg delivers innovation with Lightning Flow, and Katharine Clark connects experiences with integrations to communities. And, now it’s your turn! We want to make sure you have all the tools you need to implement the same innovations at your company. 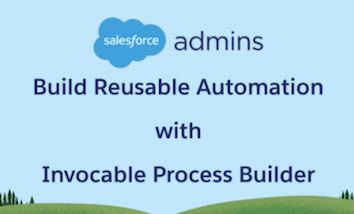 Start doing the DF18 Admin Trailmix to get hands-on with these new features and functionality. 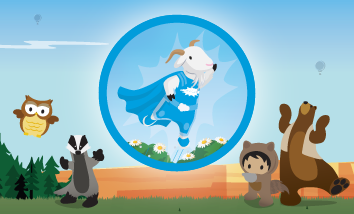 Plus, complete the trailmix by October 31st, 2018 to get a special #AwesomeAdmin SuperCloudy badge! That special Cloudy badge will be awarded to your profile after 10/31. Looking for a little extra motivation to keep up your learning and earning with Trailhead? We got you! 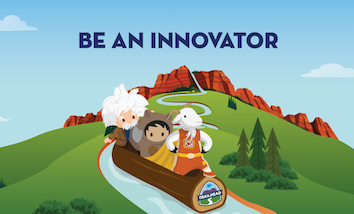 We’re bringing the fun (and challenge) of our event-based game, the “Quest,” to your everyday Trailhead life. 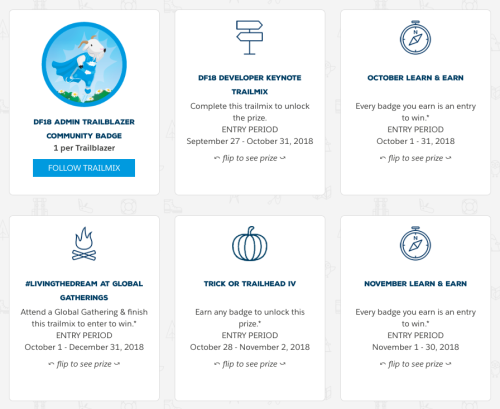 Get ready to up your learning game with Trailhead Quests! Challenge yourself with a quest to learn new skills and win fun prizes.